Our award winning, Open PGP data security - PGP compatible, easy to use, low cost, data encryption and digital signature software - uses the strongest available industry standards to ensure the integrity and privacy of your information. Built on OpenPGP, our Open PGP data encryption software provides full PGP / GnuPGP compatibility ensuring you are not locked into any proprietary and incompatible technology. See why our Open PGP data encryption is the best encryption software available - stronger than password based encryption, it can also help protect you from viruses and other email threats and ensure compliance with business processes. 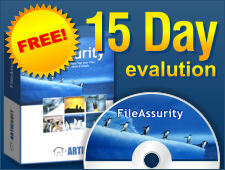 Not sure which data security software to purchase? - see our Open PGP software comparison table. Encrypt and digitally sign files, emails and instant messages (message text and attachments), securely delete files. Data encryption and digital signing, secure text editor, secure file deletion (US Gov DOD), group encryption, secure zip archives, file encryption from Windows file explorer. PGP compatible data security. Encrypt and digitally sign files and email (attachments only), securely delete files. Data encryption and digital signing of information, secure file deletion (US Gov DOD). PGP compatible data security. Automate PGP encryption and digital signing from the command line - no user interaction required. Easy to integrate into your existing applications. Encrypt, sign, decrypt, verify, and securely delete files. Scheduling, audit trails, FTP and email automation, simple to use GUI. PGP compatible data security. Decryption and signature verification for our Open PGP software products. Decrypts files and secure message text, verifies digital signatures, key generation (RSA and DH/DSS). PGP compatible data security.